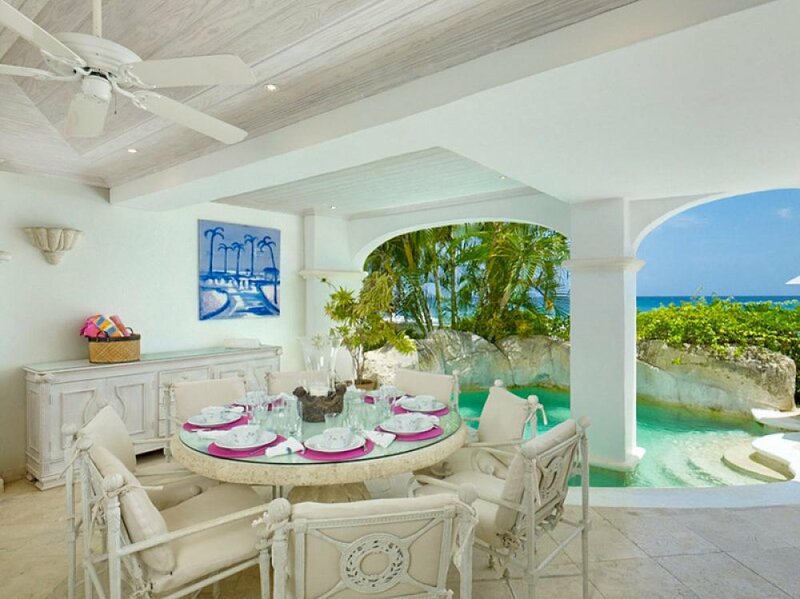 Caprice at Old Trees Bay is in a modern condo community situated within steps of the beach at Paynes Bay. Spend your days soaking up the rays on the beach, or relax on one of the cushioned lounge chairs on your veranda to read or just people watch. With both a cook and a laundress on staff, you will find your days are filled with idle time. One visitor was moved to say, ‘The staff for the entire complex was exceptional and we would recommend this property to anyone.’ If you get restless, take a stroll to town for a little retail therapy in the duty-free shops or visit one of the restaurants for some of the local cuisine. Old Trees 4 Caprice is an exceptional three bedroom apartment ideally positioned on one of the most desirable beaches on the West Coast. The grounds lead directly on to the golden sands of Paynes Bay Beach, where sun chairs & umbrellas, safe swimming and water sports await. The beach is a famous for swimming with turtles, and is also just a short stroll from The Sandy Lane Hotel & Beach, just one bay over to the north. Paynes Bay offers 2 elegant restaurants with bars. Caprice has been built to a high standard and includes large marble slab floors, high pickled tray ceilings, spot lights and coral mouldings. There is a relaxing plunge pool on the private covered terrace and views to the lush, tropical gardens and out to sea. The doorways of the villa are generally arched and the generous proportions help establish this apartment as a must see for anyone looking for an elegant beachfront apartment in central St. James. Staff hours are 8:30am-1:30pm & 5:30pm-8:30pm. Each staff member has one day off a week.